Great alternative to disposable straws. 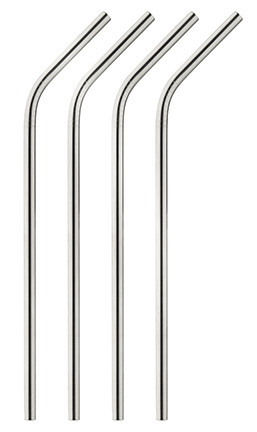 Set of four stainless steel straws with a cleaning brush. 8” long.